GREAT OPPORTUNITY IN THE HEART OF HARDEE COUNTY! This property has excellent signage and sits just feet away from the extremely busy Highway 17! 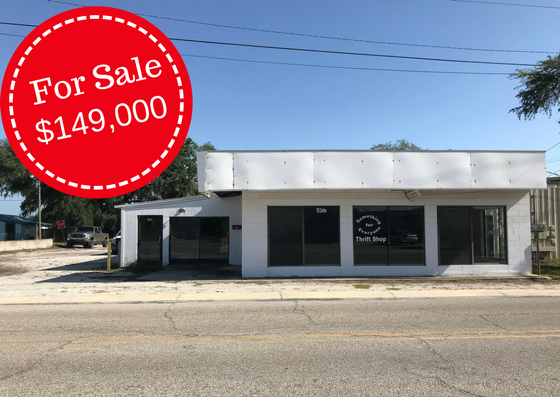 Ideal for professional, retail, industrial or service business, this property features 3 offices, 1 huge possible retail space with bright, natural light from the front showroom style windows, a kitchenette, 3 restrooms, and 2 bay doors. There are 3 other areas that could be arranged to be retail or just storage rooms. The building is situated between 2 city roads and has multiple entrances on both the north side and the south side of the property. There are plenty of parking spaces on the west side of the building. This building could possibly hold up to 4 businesses. Whether you are looking for an investment property or a place to operate your own business, you won't find a better site for the price! If you have any questions about zoning, please contact Hardee County Zoning Dept.